Dr. Tim is a nationally-recognized advocate for arts education, bringing workshops, seminars, and lectures to millions of students since 1981. For 3 decades Dr. Tim and George Parks teamed up and, with the assistance of Dr. John Villella, created the Band Leadership Training programs offered by Vivace Productions, Inc.
Dr. Tim’s 2-day Band Leadership Training workshops are a concentrated experience designed for any student leader seeking to improve their leadership, communication and teaching skills. 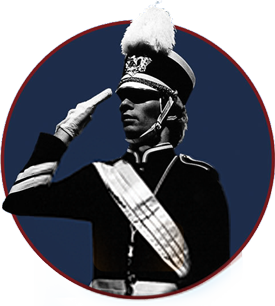 At 6 DMA workshops around the country, we are able to offer a unique setting in which students experience the full DMA curriculum and a portion of Dr. Tim’s Band Leadership Training curriculum. Dr. Tim and Heidi Sarver supercharge the week in a way no other workshop in the country can offer. Nowhere else in the country will you find a setting more unique and powerful. 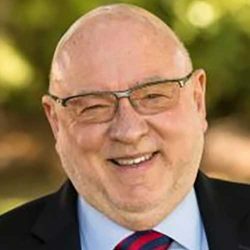 Dr. Tim Lautzenheiser is a trusted friend to anyone interested in working with young people in developing a desire for excellence and a passion for high level achievement. His career involves ten years of successful college band directing at Northern Michigan University, the University of Missouri, and New Mexico State University. Following his tenure at the university level, he spent three years with McCormick’s Enterprises working as Executive Director of Bands of America. In 1981, Tim created Attitude Concepts for Today, Inc. The organization designed to manage the many requests for workshops, seminars, and convention speaking engagements focusing on the area of positive attitude and effective leadership training. Over 2 million students have experienced his acclaimed student leadership workshops over the last three decades. He presently serves as Vice President of Education for Conn-Selmer, Inc. In addition, he continues his rigorous travel schedule touting the importance of arts education for every child. His books, produced by G.I.A. Publications, Inc., continue to be bestsellers in the educational world. He is also co-author of popular band method, Essential Elements, and is the Senior Educational Consultant for Hal Leonard, Inc. Tim is the Senior Educational Advisor for Music for All, and NAMM (The International Music Products Association). Tim holds degrees from Ball State University and the University of Alabama; in 1995 he was awarded an Honorary Doctorate from the VanderCook College of Music. He is presently an adjunct faculty member at: Ball State University (Earl Dunn Distinguished Lecturer), Indiana-Purdue/Ft. Wayne University, and Butler University. In addition, he serves on the Midwest Clinic Board of Directors and the Western International Band Clinic/American Band College Board of Directors. Dr. Tim is a world-renowned expert in student leadership training, and he’s written several books on the subject. In this video clip, Dr. Tim explains part of his 2014 publication, Classic Leadership Student Workbook, the first published leadership curriculum specifically designed for high school students.